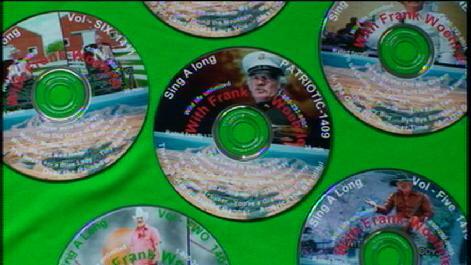 Ten songs on each DVD. ( or vhs) Complete with words on screen and entertaining skits to watch as the song is sung !! The most entertaining Sing a Longs available !! THE SING A LONG SKITS "
All videos $19.95 each with performance rights. Purchase 5 Sing-A-Longs at $99.75 and receive a 6th Sing-a-long (Free-) -- Plus shipping & Handling of $12.00 per order ....Use the Order Form To the Left to order the Sing-A-Longs , and also using Paypal. Be sure to specify DVD or VHS on your order. But, if you have a problem , we do exchange them if they are defective ..